• Pack size: 25" x 6"
Spacious,and the vestibule affords the occupants plenty of room,and it glows in the dark. Used this tent for 4 days of camping in the Southern Appalachians. Had heavy rain two of the nights - the inside of the tent stayed dry! Did get the occasional drop of water from condensation though. This tent would be a bit tight for 3 people - unless you didn't want to put ANY gear inside the tent. But fantastic for one or two people. I must say, I'm completely satisfied with my purchase with your website. My tent arrived right on time. It was immediately put to the test as my 1st camping trip that weekend was dealt a massive storm of rain, lightning and hail. The rain fly completely covers the tent and the extra storage area in the vestibule kept shoes and bags dry too. Why should I buy a Gigatent? We use materials that are heavier coated than most manufacturers. The coating on fabrics is measured in millimeters. This measurement refers to the height of a column of water that the fabric will support without it coming through. Most of our competitors use a 450mm to 600mm coating on their tents and rain flys. Our tents use a 1200mm to 800mm coating on our rain flys, because the force generated by a storm is greatest on the rain fly. We use an 800mm to 600mm coating on our tent bodies where the force is less direct and weaker. The thinner the coating the less pressure needed to push water through. The door zipper design used most in our tents is known as a Twin Track zipper. This means that there are 2 zippers for the door, a horizontal zipper and a slightly curving vertical zipper. The Twin Track design minimizes the curve to the vertical zipper which can cause the zipper to fail sooner than a straight one, it also allows for a larger and easier to enter doorway. The zippers we use for our doors are larger in size than most other manufacturers. We use only nickel plated zipper sliders on our tents which slide easier and last longer. 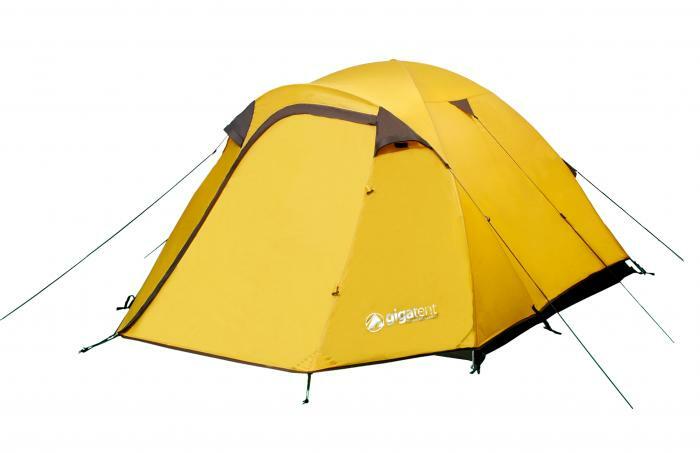 Our family tents are specifically designed to give the user the most interior volume possible. By using a combination of steel and fiberglass poles we have combined the straight walls of the cabin tent with the free standing nature of the dome tent to give the camper the best of both tent designs. The free standing nature of most of out family tents makes them easier to position in a campsite and requires less staking which means less time during set up. Our Combo Room allows for more versatility in one tent. The camper can now own a screen house and a tent in one package. The Combo Room also allows the owner to store wet gear in the Combo Room without endangering the sleeping area. The Combo Room will also accept the extra campers that wonÂt fit in the rear room. Our backpacking tents are designed to provide the maximum amount of living space without weighting too much. We use pin and ring attachments for our poles which are easy to replace should one require it. We use 19mm steel poles for most of our large family tents. The poles are cable corded together instead of chain corded to reduce the possibility of breakage. We use larger diameter poles and shockcord in most of our products than our competition uses. Our backpacking models use a 7000 series aircraft aluminum which resists cold and cracking unlike fiberglass. Aluminum poles are also lighter than fiberglass poles.